I'm very quickly typing in this post, awaiting my friend whom I'm giving a cooking lesson. I hope you all had a good weekend, Mine here started out beautifully with lots of sun and gentle winds, but now it's grumpy outside, dark rainy and windy. At least Friday was a good day! 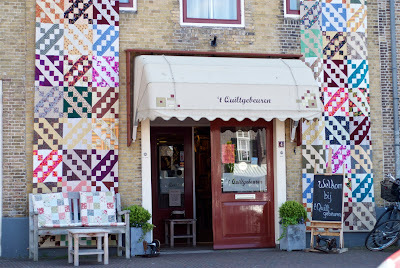 I met up with my quilting friends at 't Quiltgebeuren to help owners Wil and Janine celebrate the shops' 5th anniversary. They beautifully decorated the store and Wil's home ( who lives upstairs ) with quilts of their own and customers. The moment I walked into the door, I was sent up the stairs by Diana, with no chance to greet anyone. 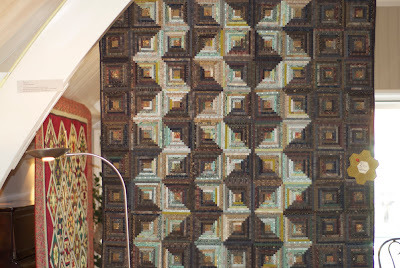 Upstairs, I was greeted by quilting friends, and congratulated. Congratulated? For what? 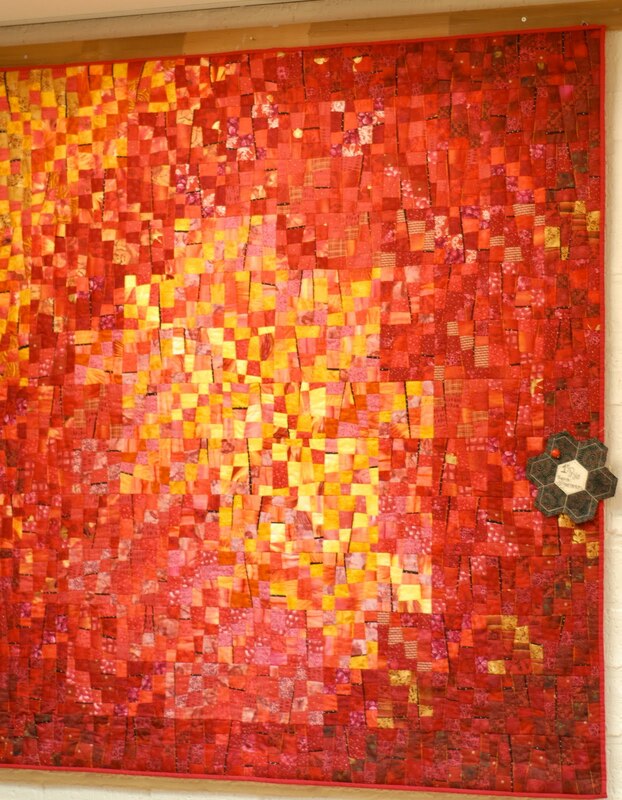 My quilt was there too, it was hung upstairs in the living room. And it won second prize! Wow! I had no idea that prizes were being given, and never won anything, so this was really very special! Normally it's friends and family that see my work and tell you it's nice, but it's another bag of beans to have it judged by people in the business, and other quilters you don't know compliment your work. 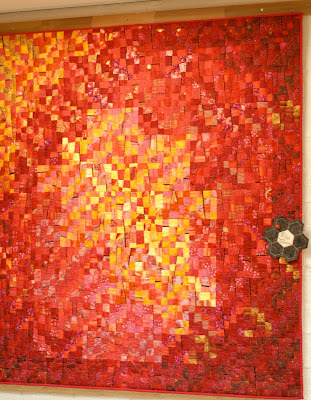 The first and third place quilts were truly wonderful and deserving of their prize. 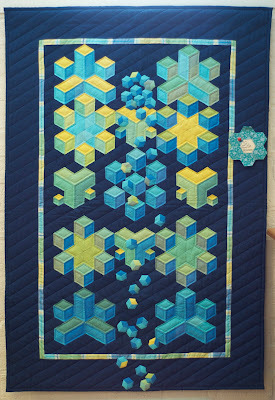 What a great day to catch up with friends and talk quilt! 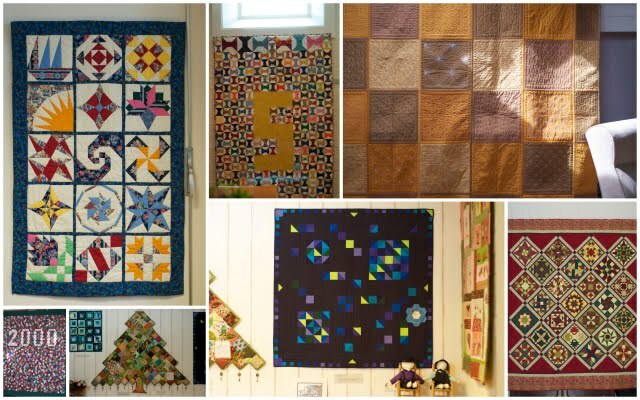 Seeing and meeting up with quilters is always good fun and inspiring. It certainly gets my fingers itchy and eager to get back to sewing, my head full of new ideas and things to try out in the future. I'm really proud of Wil and Janine, they worked so hard to get to this point, and they are going farther still! They've made this shop not only a great quilt store, but a place where you are warmly welcomed. I wish you many, many more years! So now, it's time for me to get back to my projects - I've finally got some more foundation to finish my log cabins for the baby quilt, and the pieces for a simple modern wall quilt ( an experiment really) are cut and ready to go under the needle. So stay tuned! Prachtige quilts zijn er te zien geweest. Jammer dat ik niet dichterbij woon. Congratulations Heidi...you deserve...you do lovely work. What a nice surprise and what a fun day. I'd love it if you'd visit my blog!